Milly, Cotton Stretch Poplin Ruffle Top, buy here. Milly, Stretch Crepe High-Waist Skinny Pant, buy here. Milly, Melton Bonded Flare Sleeve Tie Coat, buy here. Polaroid Eyewear, 55mm Polarized Round Sunglasses, buy here. Tous, Gold Mixed Earrings with Gemstones, buy here or similar here. 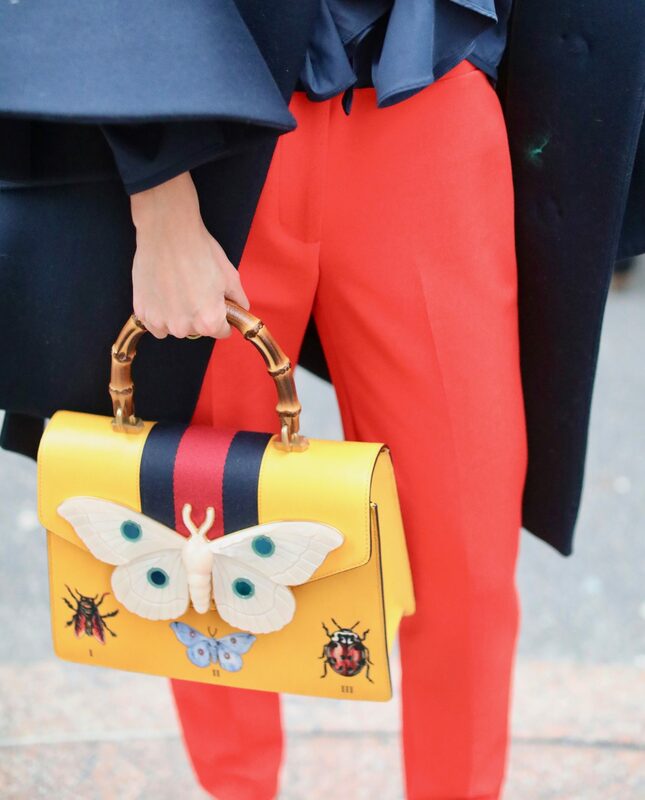 Gucci, Moth Bag, similar here. Stella McCartney, Oxford Plarforms, similar here and here.